Before a pastry chef can create, he or she must understand the basic science underlying baking and pastry. The new edition of this invalu-able reference provides this information in a concise and accessible way, guided throughout by contemporary baking and pastry research and practice. 90% New Content. Brings food science to the pastry chef in a way that is concise and informative. Strong New Author. Written by a contributor to Chocolatier and Pastry Art and Design, this book will remain concise but will be guided by contemporary baking and pastry research and practice. Essential reference for the growing number of pastry chefs and home bakers. 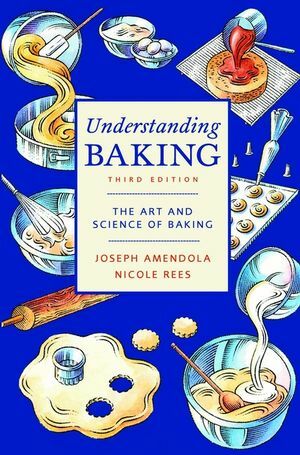 Provides a solid understanding of baking and pastry fundamentals - substantial enough for a beginner to work from and reliable enough for the seasoned professional to use as a reference and troubleshooting guide.